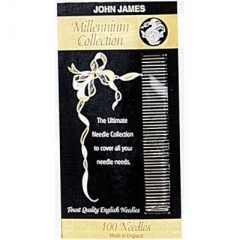 The ultimate needle collection to cover all your needle needs. 100 needles in a limited edition folder. Needles included are sharps, milliners, tapestry, chenille, embroidery, darning and quilting needles.